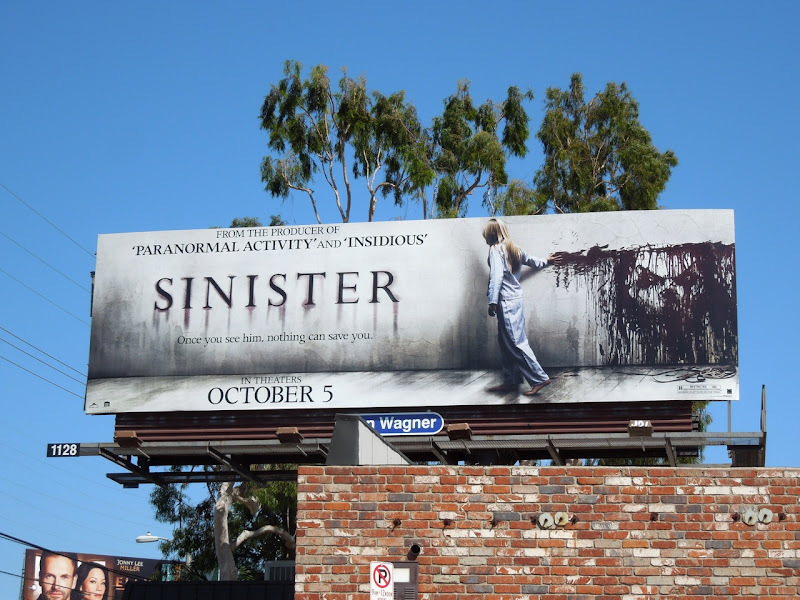 This horror movie billboard creative certainly lives up to its name, as it really does look quite Sinister. 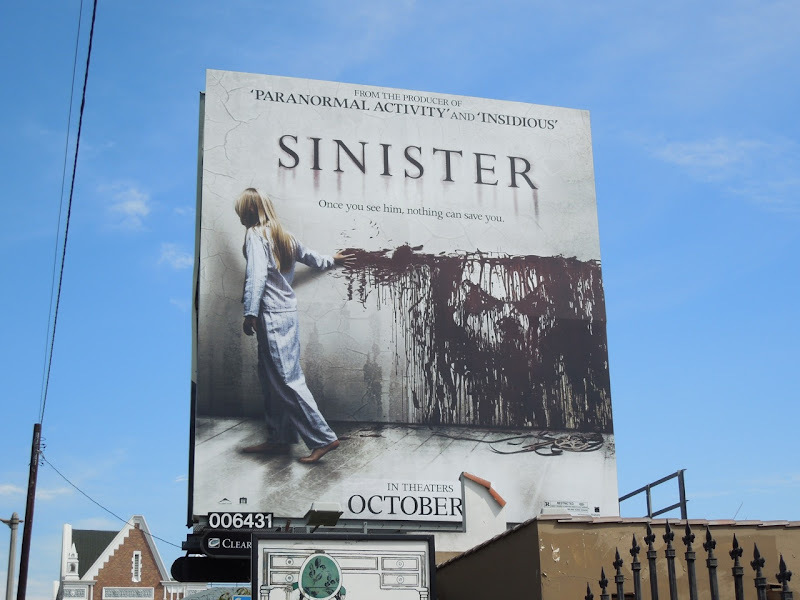 There's nothing like a child finger painting with blood on the walls, especially when they start to draw some creepy faces to stare out at you. 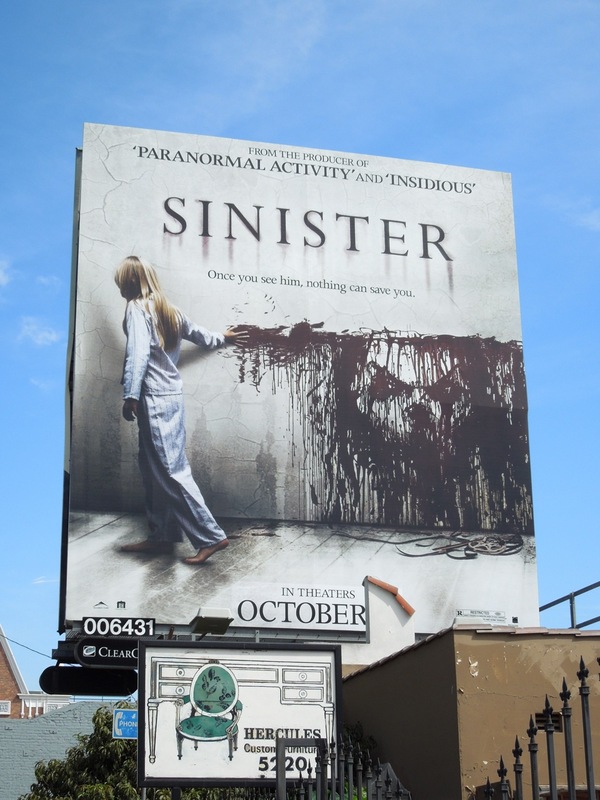 In this scary movie Ethan Hawke stars as a father who puts his whole family at risk when he discovers a box of home movies in the attic of their new house. 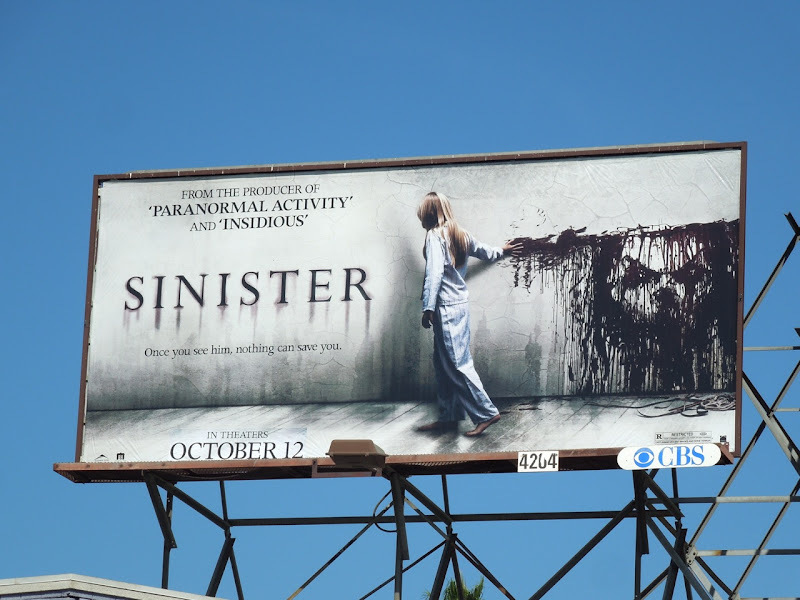 By watching the footage the writer unwittingly unleashes a supernatural Pagan deity named 'Baghuul', who has a thing for children's souls. 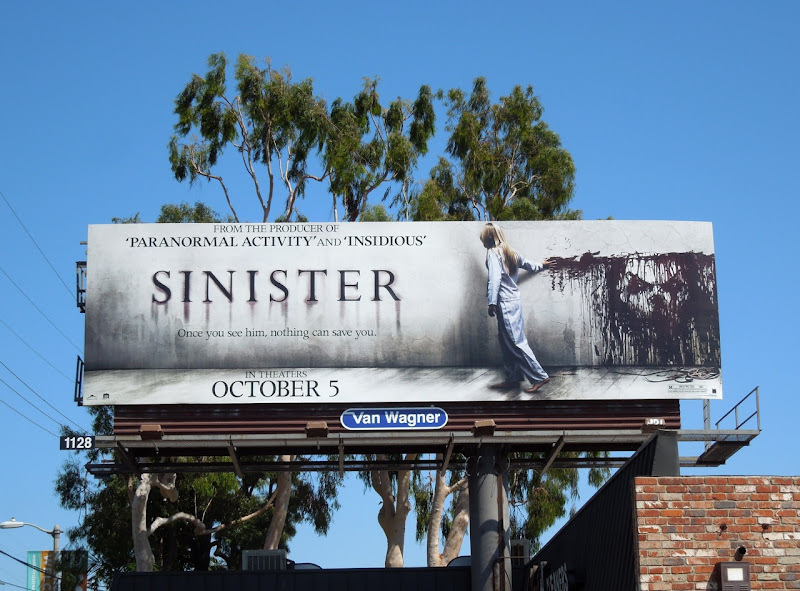 Daily Billboard has watched the the unsettling trailer for Sinister and thinks that it's the perfect horror movie to give you the chills in the run up to Halloween. 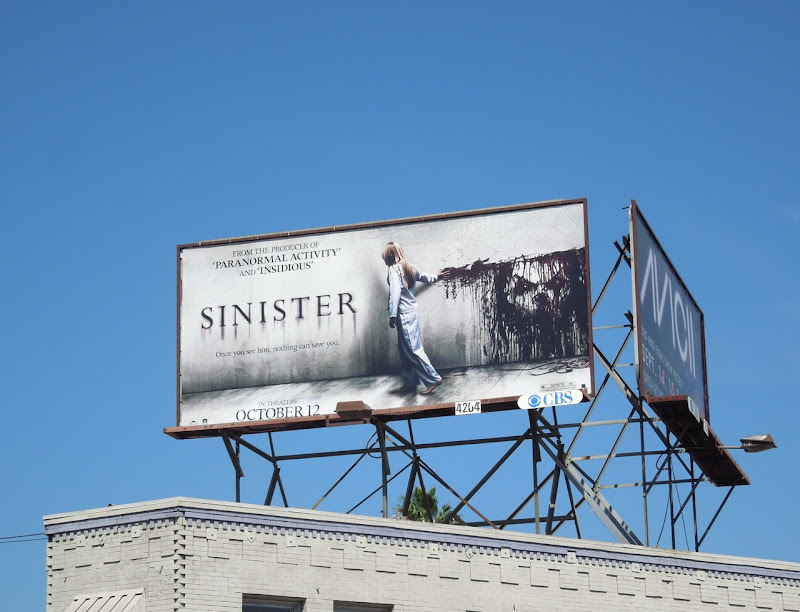 The standard landscape billboard for the movie was spied along 3rd Street on September 6, the squarer format was spotted along Melrose Avenue on September 22 and the smaller version snapped above Sunset Boulevard a few days later. 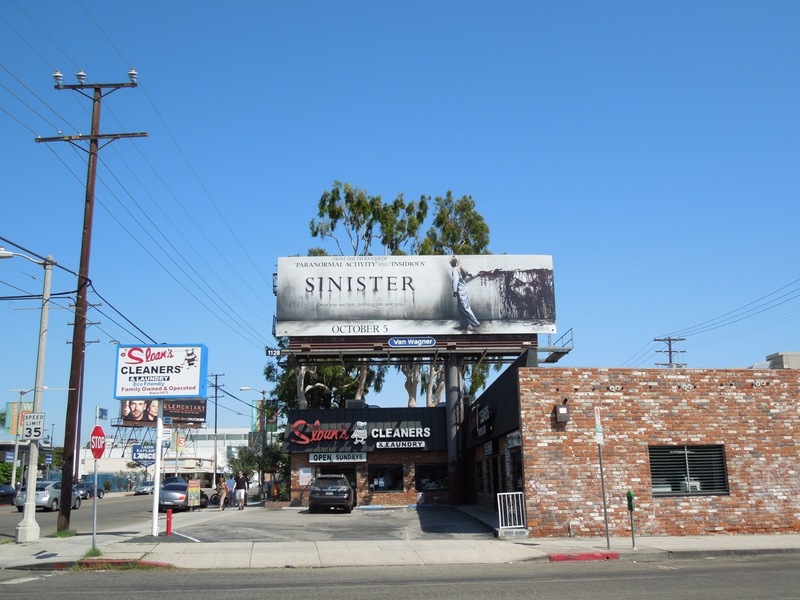 Be sure to stick around for more spooky goings on in our first ever HALLOWEEN WEEK here at Daily Billboard. 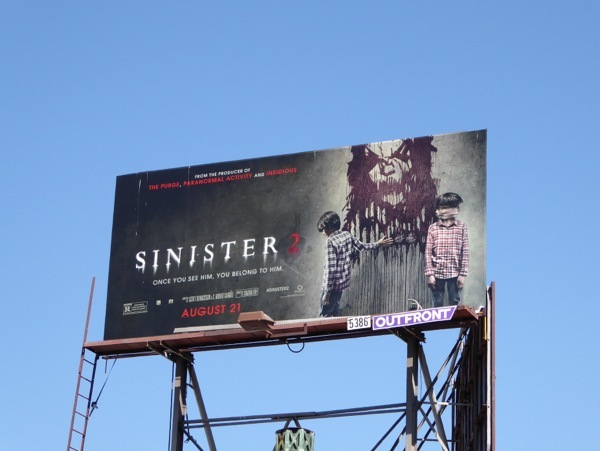 UPDATED: If you're a fan of this horror franchise, here's the Sinister 2 movie billboard, featuring some more spooky kids, from Fairfax Avenue on August 12, 2015.